The inauguration of the Parliamentary Initiative Multi Track Council for a Culture of Peace follows the launching of the High Level Panel: The Role of Parliaments for Building Peaceful and Inclusive Societies and Combating Violent Extremism which was held in the context of the 10th anniversary of the UN Global Counter-Terrorism Strategy, adoption of the SG’s Plan of Action to Combat Violent Extremism and the High Level Political Forum. 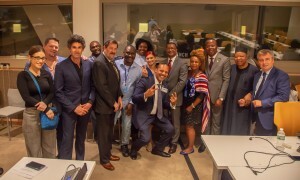 The High Level Panel, held on July 21, in partnership with UNESCO, hosted by the mission of Italy to the United Nations, with the participation of H.E. Ambassador Kiarat Abdrakhmanov, Permanent Representative of Kazahstan to the U.N. highlighted the important contribution of the development of a culture of peace and the need for a partnership between parliamentarians and the UN to work jointly for preventing the unprecedented rise of violent extremism. 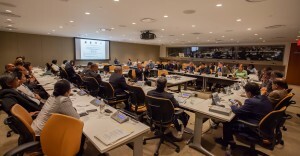 In this light, the IPCGE has been promoting national legislation for mandatory education on the culture of peace and strict measures to prevent incitement for terrorism and violent extremism in accordance with the relevant UN General Assembly resolutions. The role of legislators is crucial in this endeavor. So far the UN resolutions on the culture of peace have not yet been fully inscribed into national law in UN member states. 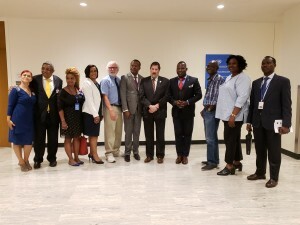 The high level panel empowers legislators of UN member states to initiate legislation in their respective parliaments to fill this lacuna in support of the UNESCO mandate on the culture of peace. 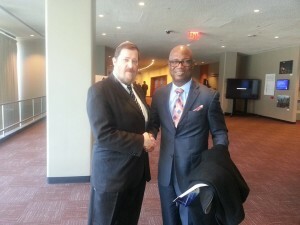 A summit of legislators at U.N. headquarters is planned to further promote this crucial endeavor. 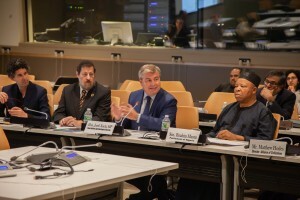 In an effort to assure implementation of the required national legislation, The IPCGE initiative envisages the further strengthening of a multi- track diplomacy partnership to engage religious, academic, and media leaders to fulfill their respective roles to execute the proposed legislation with the support of the United Nations institutions as envisaged in the 2030 Agenda for Sustainable Development and the Plan of Action to Prevent Radical Violence. Towards this goal, IPCGE in partnership with the American Association of Central Asian and Caucasian Countries Religions in Dialogue is launching the Multi Track Council (MTC) for the Culture of Peace, also known as the Levant Initiative for Global Peace as endorsed by Council of Europe Members of Parliament and the Parliament of Romania (see attached documents). 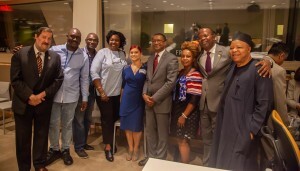 The MTC, comprised of religious, education, youth and media leaders will strive to support the required legislation and its execution in their respective professions and societies in coordination with national and international entities. mic Republic of Afghanistan to the U.N.
Chief Rabbi, Safra Synagogue, Director of the Jacob E. Safra Institute of Sephardic Studies, at Yeshiva University and is a scholar and college teacher of Sephardic Judaism, history, philosophy, and comparative traditional law.Rabbi Abadie received the Orden Del Merito Civil, the highest civil decoration by His Majesty King Juan Carlos I of Spain. Rabbi Abadie follows in the footsteps of the greatest Jewish scholar and philosopher Moses Maimonides, as he is both a rabbi and a physician. Rabbi Abadie maintains a practice in Gastroenterology (Also Representing the European Council of Religious Leaders). The U.N. post 2015 development goals encompass ethics inherent in many cultures and religions on issues of social and environmental justice. The Inter-Parliamentary Coalition for Global Ethics is launching a major initiative to create a global steering committee of religious leaders and cultural representatives to lead the efforts to harness cultural and religious ethics to promote these goals. The ‘United Nations’ Headquarters faces the Isaiah Wall inscribed across from the main building. The quote from the prophet Isaiah was chosen as the founding motto for the world’s foremost organization for international peace. In his eternal thought, the day is mentioned when no nation will wage war against another nation, and when swords – the instruments of war – will be transformed into plowshares – the instruments for providing man’s sustenance. The Seven Universal Laws of Noah which are cited by the philosopher Hugo Grotius as the foundation for international law (the basis for the United Nations Charter) are the practical means, by which humanity can strive to live in unity and peace and can fulfill its potential to see all the families of the earth blessed. These laws for peace and unity encompass respect for G-d, for human life, respect for the Family, for other people’s property, for the creation, respect for the judicial systems, and respect for all creatures and the environment. 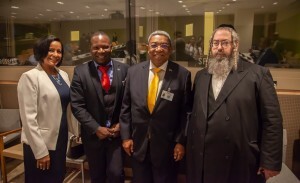 Leaders in the fields of culture and religion are invited to share their insight and wisdom with the leading UN officials to assure that the vision of the United Nations, to have a peaceful and civilized world in which economic justice and righteousness prevail, can be fulfilled. The goal of this summit is to develop a coalition of religious and cultural leaders to work with the UN to implement the development goals towards a culture of peace and prosperity.